The upcoming Fourth of July celebration, otherwise known as national war zone weekend, is going to be great for the beer industry. A whole lot of beer is going to be bought and guzzled this weekend. And we all know massive beer consumption and fireworks go perfectly well together. Boom! Just in time for the holiday, I came across news that our old friend, Anheuser-Busch, is continuing its ongoing attack on the craft beer industry. This time out, the St. Louis thugs are attempting to block a trademark application filed by Natty Greene's Brewing of Greensboro, N.C.
Natty Greene's, founded in 2004, has been growing steadily and now produces about 17,000 barrels of beer annually. Owners filed the application to patent the phrase "Natty Greene's" because they recently expanded distribution outside the state of North Carolina. Now seemed a good time to protect the name. 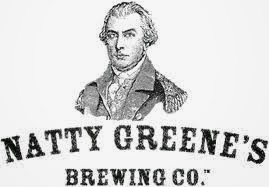 In case you're wondering, and you should wonder, Natty Greene's is named after Nathaniel Greene, a general during the American Revolutionary War (no, kids, that's not the one that started when the Germans bombed Pearl Harbor). A number of American cities, including Greensboro, are also named after Greene, the general. Anheuser-Busch, which owns dubious trademarks on Natty Light, Fatty Natty and Fatty Daddy in connection with its Natural Light brand, claims that granting Natty Greene's application would damage or dilute the value of the Natty family. Let's take a look at that claim. How do you damage a brand like Natural Light? The beer has been part of the Anheuser-Busch line since 1977, when it was rushed to market in response to the wild popularity of Miller Lite. AB had to do something. Bud Light, you may recall, came later. Natural Light or Natty Light or whatever you want to call it is a sub-premium brand, typically sold at discount prices where you can find it. It has a good following on some college campuses because it's cheap and frat boys can drink a lot of it before they puke or pass out. It's also popular in poverty-stricken urban ghettos for similar reasons. But never mind. The thing is, if someone is going to be damaged by way of name association, it will almost certainly be Natty Greene's. Some people outside North Carolina might see the name and immediately connect it with Natty Light or one of the other Nattys. Natty Greene's is a respectable craft brand. They are the ones risking damage or dilution of value. Natty Greene's co-founder Kayne Fisher characterizes AB's opposition as a nuisance filing. He has a hard time seeing how anyone is going to confuse Natty Greene's with any of the Natty-related trademarks. He has a point. He brews a good product. 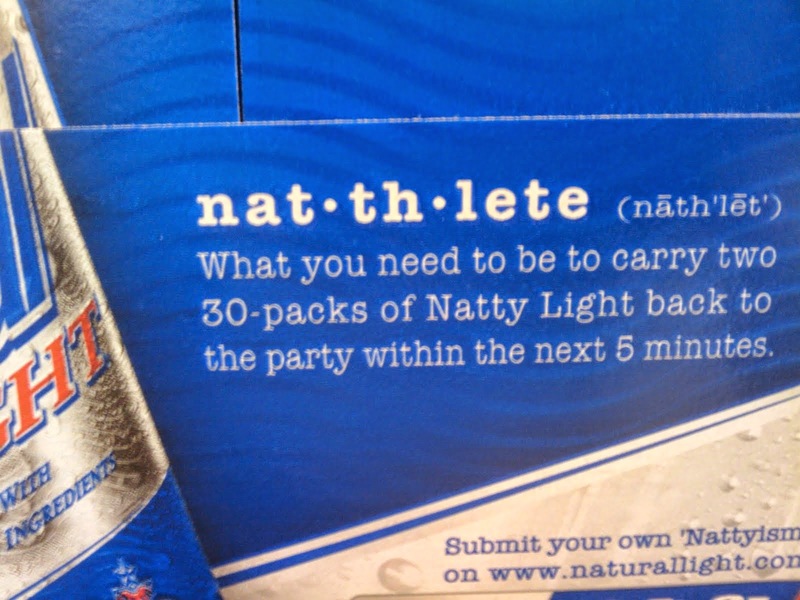 Natty Light is another animal. We'll have to wait and see what happens in court. Fisher expects to move ahead with the patent application. Anheuser-Busch, with the deepest pockets in the industry, is not going to drop its opposition and can easily afford to extend the proceedings. Soulless thugs never quit.